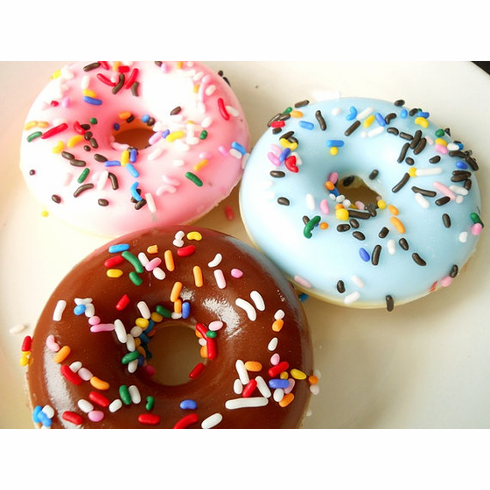 Our sprinkle doughnut soap set contains 3 doughnuts made with 100% vegetable glycerin soap and topped with yummy-looking sprinkles. Great stocking stuffer for children or teens! Will also make a great police officer gag gift! Gift set comes with one chocolate, strawberry, and blueberry soap doughnut that is packaged inside a clear box that is decorated with a bow and tag. I can include a special message on the tag; just let me know at checkout. Each soap weighs approximately 4 ounces and measures 3 inches across.